The Steel Drum, or Pan, is a unique instrument made from the bottom of an old oil barrel, and is instantly recognizable for it's sunny tropical sound. 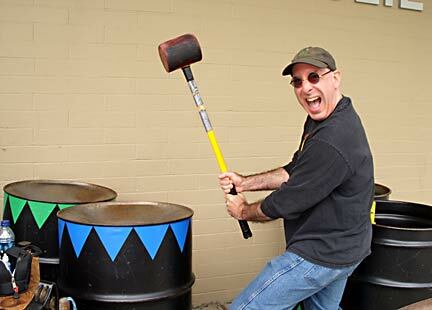 Each steel drum is a skillfully hammered 55-gallon oil drum which has been carefully tuned to produce perfect musical tones. 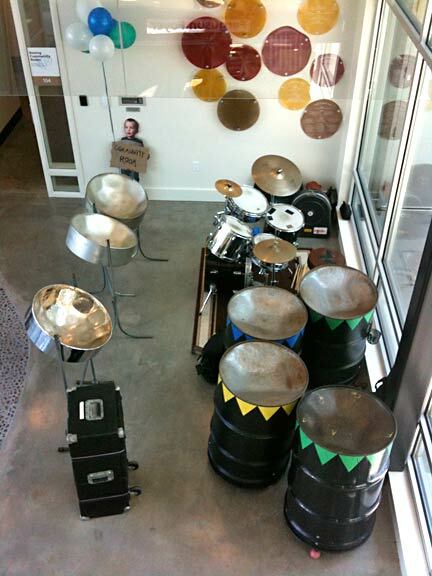 (How Pans Are Made) A full steel drum band has a complete chromatic range of several octaves, and can play just about any type of music you can think of!